If you’re interested in making the wonderful town of Blowing Rock your home, you can do more to find the ideal house than simply browse available properties. Another route, especially if time is on your side, is to explore the area’s residential neighborhoods and communities to see if one of them calls you in. If this is the case, then you’ve easily pinned down a significant parameter in your search, and it’s a matter of waiting for the best matches to hit the market. 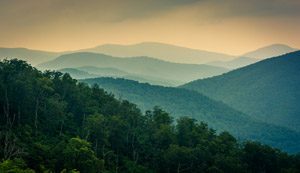 Summit Park and Wonderland Woods are two local favorites that afford attractive options for places to live in Blowing Rock, NC. The Mountain Group at Premier Sotheby’s International Realty is here to help you decide which route is the most effective for you. Not everyone sees the benefit in residing in this kind of environment. Others actually prefer not to. Maybe you’ve never truly thought about it before. Some buyers don’t necessarily pursue a property in a distinguished community, but their house of choice happens to be located in one, so they embrace the total package. On the flip side, there are buyers who select a neighborhood and then spend all of their time and energy actively waiting for a property to become available, and it never does. While there isn’t a right or wrong way to go about choosing a home to purchase, there is a real estate solution that is specific to your wants and needs. The Mountain Group at Premier Sotheby’s International Realty can define that solution and then implement it in the most efficient manner. Let us take you on a tour of Blowing Rock realty to discover what you’re looking for. From an end lot with lots of trees in Summit Park to a three-bedroom home with a fireplace in Wonderland Woods, there are plenty of options that you won’t be able to get enough of in Blowing Rock.